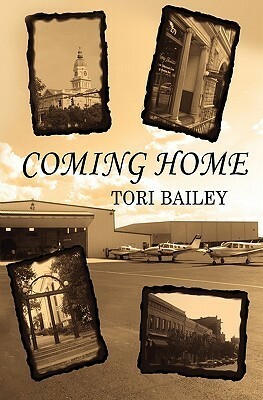 In her debut novel, Tori Bailey takes to the regionof Athens, Georgia, and spins a tale of love, loss and redemption. Maggie returns to Athens for the reading of her former lover's will. The content of the will makes an already difficult time even more so. Maggie struggles to save Mac's business, deal with Mac's adult daughter and find out where she fits in all these years later. As Maggie digs deeper into the business she finds that thinga are not as they seem. Her investigation in to the business leads to danger, love and finding that you can go back home again. I found myself interested in the book from the start. It was so captivating. Truly a book that keeps you going and not want to put it down. The betrayal and the lessons learned that things are not always the way that it seems. The loss of a special man brought friendship, hope and love between his daughter Anne and his x-love of his life. A great book that keeps your interested from start to finish. A little murder mystery and romance rolled up into one. This book kept me guessing about what was going to happen next. I especially loved that the two most important women in Mack's life found a way to appreciate each other and become friends. This is a book that draws you in. A mix of mystery and romance, it keeps you guessing what is going to happen next. It's also solidly placed in Georgia, giving Georgian readers familiar landmarks throughout the story.